Former New York City Mayor Michael Bloomberg said he will be “demanding” 2020 Democratic candidates have a plan to combat climate change and would not rule out running against President Donald Trump. Bloomberg, who spent $5 million on a television ad in favor of Democratic candidates just two days ahead of the Nov. 6 midterm elections, said he wants to see any plan regarding climate change proposed by any of the possible 2020 Democratic candidates in order to make sure the plan could work. “I think that any candidate for federal office better darn well have a plan to deal with the problem that the Trump science advisers say could basically end this world,” Bloomberg said in an interview with NBC’s “Meet the Press,” set to air Sunday. A piece of the transcript was published Thursday by Politico. The former mayor would also not weigh out a 2020 presidential run, saying he is still undecided on the issue. Bloomberg was named in September the head of the Climate Finance Leadership Initiative, which raises money for climate changing initiatives. 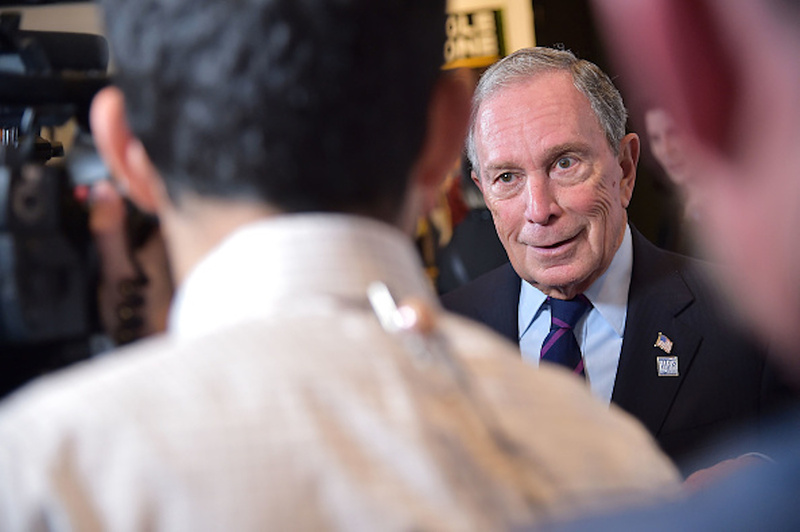 Bloomberg has spent $110 million on political related issues and took his first step toward a 2020 presidential bid by re-registering as a Democrat on Oct. 10.